Alex Villanueva says he intends to begin a reorganization of the Los Angeles Sheriff’s Department on the day he’s sworn in as the embattled agency’s new chief. “House cleaning is going to start day one,” Villanueva said at a gathering with supporters on Nov. 16, where he declared victory. 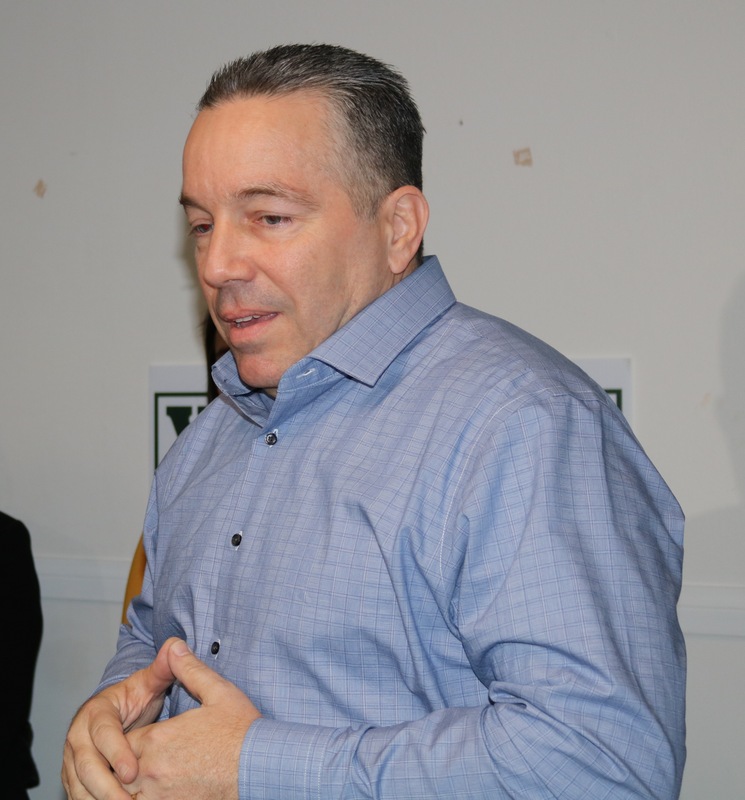 On Monday, almost three days after the Nov. 6 election, incumbent Sheriff Jim McDonnell called Villanueva to concede the race after newly-released results showed the challenger had an insurmountable lead. With only 100,000 provisional ballots left to count, Villanueva is almost 126,000 votes ahead, giving him almost 53% of the votes. Villanueva’s stunning upset win marks the first time an incumbent Sheriff is unseated in LA County in 138 years. His swearing-in ceremony is now scheduled for Monday, Dec. 3 at East Los Angeles College. As new Sheriff, Villanueva would oversee policing of all the county’s unincorporated areas, including East Los Angeles, and of half of the cities in Los Angeles County. He would also be in charge of a scandal-plagued jail system that typically houses some 18,000 inmates, about a third of whom are mentally ill.
Villanueva, who would become the first Spanish speaker and first Democrat to become Los Angeles Sheriff in over 100 years, appears to have won the race with overwhelming support from Latino voters. Pollster Martín Barreto, who runs Latino Decisions, told the Los Angeles Times that Villanueva obtained 84% of the Latino vote. 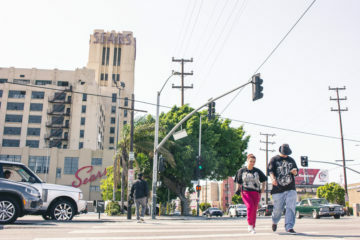 A Times analysis of the results found that Villanueva did best among voters in the County’s most heavily Latino populated areas, including Boyle Heights and East Los Angeles –where he was once stationed. A retired sheriff’s lieutenant of Puerto Rican and Polish-American heritage, Villanueva, 55, said his support of SB54 –the state’s so-called Sanctuary Law that limits the Sheriff’s interaction with federal immigration authorities– may have been influential in his election. Villanueva was endorsed by former Senator Kevin de León, the author of SB54, and by the Coalition for Humane Immigrant Rights, or CHIRLA, whose volunteers joined his campaign. He put his support of SB54 front and center of his appeals to Latino voters, at rallies where he spoke in fluent Spanish and in interviews with Spanish-language media. At the gathering held at his election headquarters, a small storefront on Beverly Blvd. 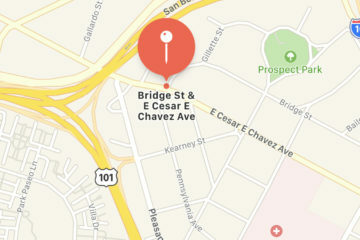 in East Los Angeles, Villanueva said he intended to “honor” the Sanctuary Law and keep his promise of denying access to county jails to Immigration and Customs Enforcement (ICE) agents. Support for SB54 was one of several issues that distanced Villanueva from McDonnell. The incumbent is a former Republican who ran as an independent and describes himself as a “progressive.” The challenger ran openly as a Democrat in the nonpartisan race. Villanueva and his wife Vivian address supporters at his election headquarters in East Los Angeles. McDonnell, 59, was endorsed by the Los Angeles Times and the area’s principal elected officials, including Los Angeles mayor Eric Garcetti and County Supervisor Hilda Solís. 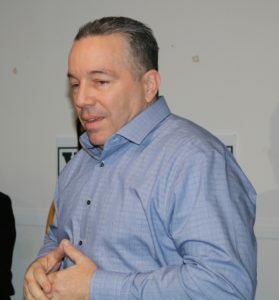 The County Democratic Party and other local party organizations, however, endorsed Villanueva, as did La Opinión and Hoy. McDonnell, an outsider when elected in 2014 who spent 30 years in the LAPD before a short stint as chief of the Long Beach Police Department, had the support of the Professional Peace Officers Association, a union representing high ranking employees of the Sheriff’s Department. 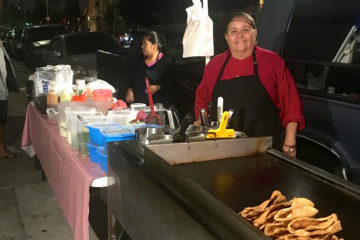 Villanueva, who became a Sheriff’s deputy in 1986 (and met his wife Vivian, in 1993, when both were deputies assigned to the East Los Angeles station), was endorsed by the Association of Los Angeles County Sheriff’s Deputies, which represents the men and women working the streets. His last job with the department was as one of three watch commanders in the Pico Rivera station, where he supervised about 25 deputies on any given shift. While McDonnell was elected as a reformist in 2014, the department continued to be plagued under his tenure by allegations of racial profiling of Latino motorists, suspicious deputy-involved shootings and other disturbing charges against employees. Villanueva, who claims he was kept from rising higher than Lieutenant in rank because he spoke openly against former Sheriff Lee Baca (who resigned in 2014 and was convicted after a 2017 FBI corruption investigation), said McDonnell’s reform efforts focused too much on the deputies and not enough on the command staff. Another reform that Villanueva has criticized has been McDonnell’s intent to get rid of a culture that includes individual station logos and tattoos worn by deputies that signal the existence of what some have categorized as gang-style “cliques.” Villanueva said during the campaign that forcing deputies to get rid of tattoos undermines their morale, and that he intends to return to use of individual stations’ logos. Both Villanueva and McDonnell said during the campaign that the department needed to improve its recruitment efforts, and during a Spanish-language interview at his victory celebration, the apparent winner hinted that his recruitment efforts would actually contribute to a culture of regional pride. Shortly after declaring victory at the East Los Angeles gathering, Villanueva promised “a lot of changes” once the Sheriff’s badge is pinned on his uniform. In an interview last week with LAist, Villanueva detailed that one of his first moves would be to get rid of two constitutional policing advisors who advise department brass on a variety of the most controversial matters, including the department’s use of force policy and the disciplining of deputies accused of misconduct. Villanueva called the hiring of the advisors as a “dog and pony show” that does not address systemic issues and has said he would used the money that pays for the positions to fund a truth and reconciliation commission that would review potential wrongful convictions and terminations of deputies. When asked about a number of recent deputy-involved shootings –including two earlier this year, where unarmed men were killed– Villanueva said there needed to be more transparency in how these cases are processed as well as improvements in deputy training. “We’re way below the minimum standards that the state mandates in training for our deputies who work on the streets, and that is going to be one of our top priorities,” he said. Born in Chicago to a Puerto Rican father and a Polish-American mother, Villanueva was raised in Puerto Rico and started college there before joining the Air Force. 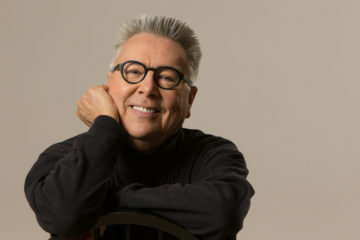 He moved to Southern California in 1983, when he was assigned to Norton Air Force base in San Bernardino. Three years later he joined the Los Angeles County Sheriff’s Department. He continued his higher education both in the military and on the job, and in 2005 earned a doctorate in Public Administration from the University of La Verne. He and his wife have lived in La Habra Heights since 2004; the couple has a son and two granddaughters. 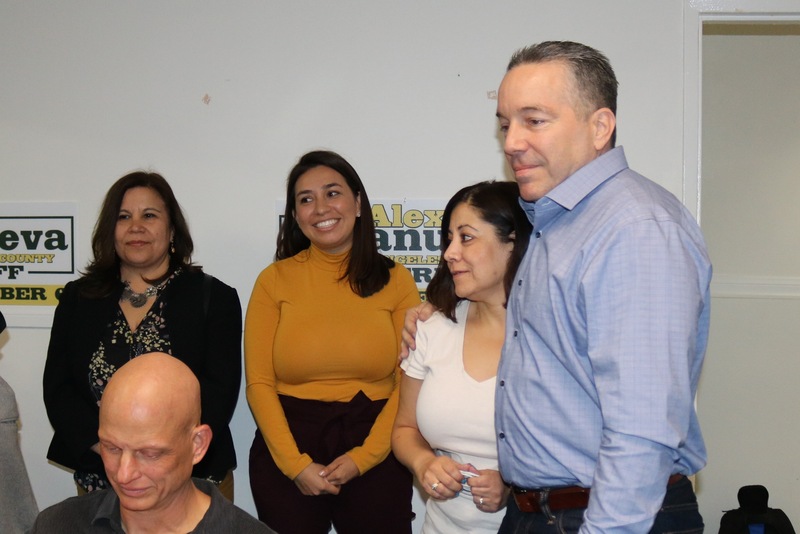 The first Puerto Rican to be elected Sheriff in any U.S. jurisdiction, Villanueva said that his ability to speak Spanish will be an important asset –especially when dealing with the immigrant community and those who fear law enforcement. “Considering the size of the Latino community in Los Angeles, particularly those that only speak Spanish, it’s very important to have someone who sits in the office of the Sheriff who actually is a reflection of the community at large, [who] understands the culture,” he said. Photo above: Alex Villanueva with his wife Vivian at election headquarters in East Los Angeles. This post was updated on Nov. 27 to include McDonnell’s concession.